In last week’s newsletter, we told you about this year’s graduation. This week we would like to tell you about one of those graduates. Meet Gregory. 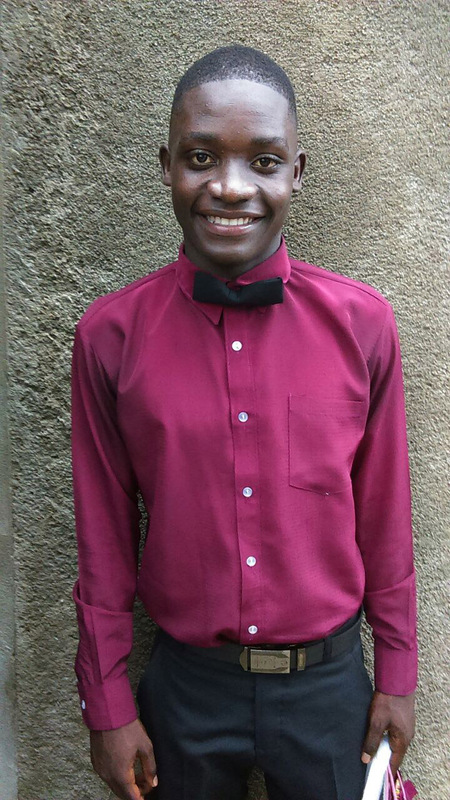 He grew up in Northwest Haiti Christian Mission’s orphanage and through that partnership was able to take the English class at Beyond Relief Trade School and graduated as the second top English student. Gregory is already getting opportunities to use his new skill to work as an interpreter with the mission. Here is a story written by Deb Taylor, a short-term missionary with Beyond Relief, who had the privilege to have Gregory as an interpreter. 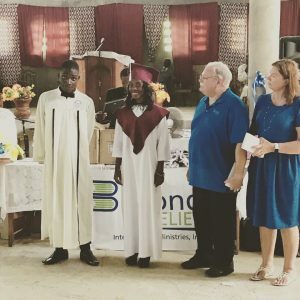 It was only days before Gregory’s graduation from Beyond Relief Trade School in St. Louis du Nord, Haiti, when he was offered an assignment to interpret the weekly devotion at the local prison. This was a curious opportunity for a 17 year old orphan who had recently completed his English course and had never been behind the prison walls. The sights and smells of confinement were overwhelming, but this story isn’t about the prison – it’s about the young man who bridged the gap between the American mission team and those who were truly curious about the things of God. Gregory read a Bible story to the prisoners in each cell in the native Haitian Creole. The Bible story unfolded with excitement as he read it with great passion. Gregory broke down the language barrier as questions were asked and answered, allowing the men, women and teens to better understand the Bible story. Afterwards, through Gregory, the Americans and prisoners prayed together. The visit ended with a round of applause and the simple phrase, “Mesi Jezi!” Thank you, Jesus. Beyond Relief graduates impacting lives in so many ways! Will you join us in this work? Rita2017-08-01T11:38:24-05:00August 1st, 2017|Comments Off on But wait, there’s more!